Tesco grew its sales by 2.7% during the last three months, the strongest performance of the UK's "Big four" supermarkets. According to retail data from Nielsen, Tesco’s sales growth outstripped that of its three main rivals for the eighth consecutive month. During the 12 weeks ending 4 November, Sainsbury’s saw sales up 2.1% year-on-year, followed by Morrisons’ 1.8% sales increase and Asda’s 1.7% rise. 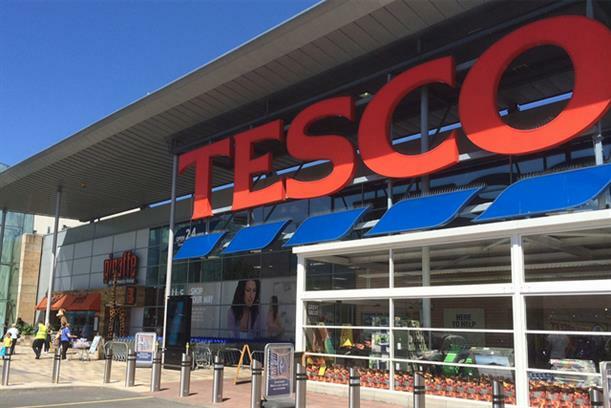 Mike Watkins, Nielsen’s UK head of retailer and business insight, said that Tesco "continued to attract new shoppers over the summer, who visited more often, giving a further boost in the last month". He added: "At the same time, like all the supermarkets, they’ve had to tread a fine line around holding back at passing on cost price increases to compete with the discounters. Two-thirds of households now visit Tesco at least once a month and all eyes will be on whether the number one retailer can pull off another strong final quarter." Overall, UK grocery sales for the month were up 3.1%, but it was a sales boost fuelled to a large extent by the performances of the German discounters. Excluding the discounters, sales rose 1.7%, while volumes fell 0.5%. Watkins noted that, in spite of the sales opportunities of half-term holidays and Halloween, general merchandise sales at supermarkets were down 5.5% on the previous year. The outlook, however, is positive, with Nielsen forecasting growth in the run-up to Christmas. But Watkins added much of this anticipated performance would depend on "how successful the current advertising campaigns will be in encouraging people to spend more", adding that shoppers "are now experiencing ‘peak inflation’". "With Aldi and Lidl also looking to gain market share in premium food and drink, price competition across food retailers will remain intense as they compete for the Christmas purse," he said. Separately, Tesco's takeover of wholesaler Booker Group has been provisionally approved by the Competition and Markets Authority. Tesco welcomed the decision in a statement. It said: "We look forward to creating the UK's leading food business, bringing together our combined expertise in retail and wholesale. "This merger has always been about growth, and will bring benefits for independent retailers, caterers, small businesses, suppliers, consumers, and colleagues." The CMA announced its latest investigation into the merger earlier this year. Booker owns the Londis, Budgens and Premier Stores brands, which are operated as franchises by independent storeowners.